We are located in the same building, Smithfield Medical Center, now in suite 104 on the first floor! Feel The Difference Personal Attention Makes. Dr. David Colannino has been working with patients for over 20 years to provide the best in podiatric care for patients in the Smithfield and North Western Rhode Island area. Dr. Colannino’s experience in podiatry is coupled with genuine concern for the patients in his care. 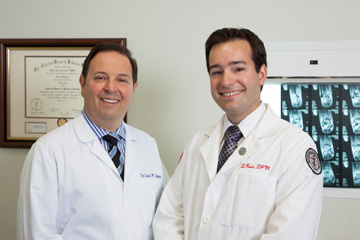 Dr. Colannino is happy to announce the addition of Dr. Dominic Roda to the office in July 2014. He is experienced in all aspects of footcare including reconstructive foot surgery and diabetic wound care. All of our staff is dedicated to your comfort and prompt attention as well. 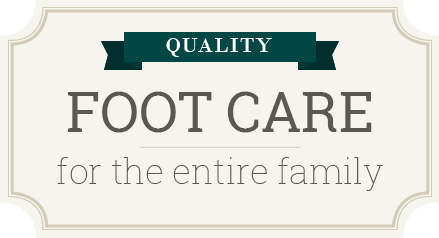 Our goal is to help you maintain healthy feet. This web site provides you with an overview of our practice and the field of podiatry. As you navigate the site, you’ll find information about our practice philosophy, our doctors, office location, insurance policies, and appointment scheduling procedures. Please browse the site at your convenience and feel free to contact us with any questions. You can also request an appointment by clicking here. Feel Confident Your Feet Are In The Right Hands. You’ll find a lot of valuable information on the web site about foot problems, diagnoses, and treatments. We believe informed patients are better prepared to make decisions about their health and well being. We encourage you to review this information to help you understand any health concerns you may face. Follow us on Facebook and check out our blog for health tips, office news, special offers, and more! An ingrown toenail—also referred to as onychocryptosis—is a common problem that occurs when the edges or corners of the nail grow into the skin next to the nail. When this happens, the edge of the nail breaks through the skin, which causes inflammation.